ABLE // Local + Global. Beautiful products by women who have overcome. Ahhhh, the smell of fresh strawberries! There's nothing better than having that first taste of summer, especially if you have access to a strawberry patch. The strawberries you buy from the store are just not nearly as good as the fresh goodness you can pick from a plant with your own two hands. Any strawberries will do of course, but we were able to pick a load of fresh berries recently, so I was inspired to not let any of them go to waste! I made this syrup, or sauce, or whatever you want to call it...heaven in a jar maybe?...for the first time two years ago, and it was delicious over pancakes, waffles, poundcake, oatmeal, angel food cake, ice cream, and we actually even made a cocktail out of it one night! BOOM! I mean, how could you say no to some sweet, boozy strawberries? 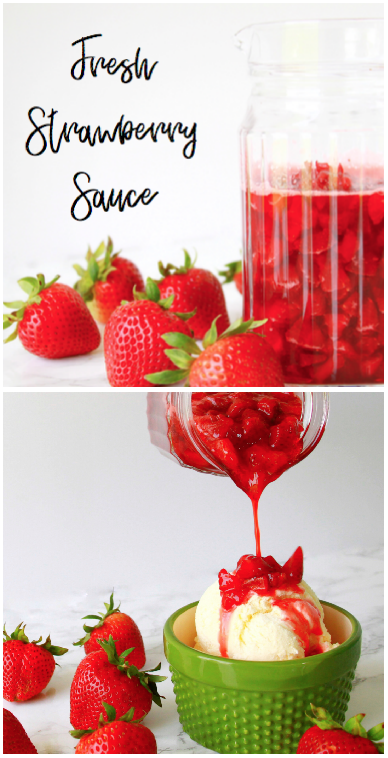 This delectable sauce is really simple and has only 4 ingredients! So, there's really no excuse to go another day without trying it. Yum, yum, extra yum! Put all ingredients in a sauce pan and bring to a boil over medium heat. Reduce heat to medium-low to maintain a slow simmer and reduce the sauce by 1/3-1/2 (this takes approximately 20 minutes). Sauce will thicken as it cools. To thin, add a small amount of water if necessary to reach desired consistency. 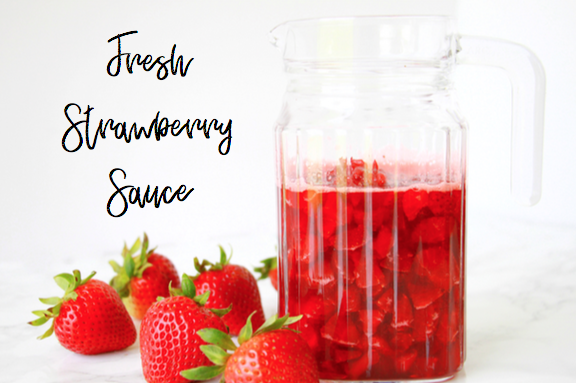 Store in the refrigerator and pour over anything your strawberry-loving heart desires! What is your favorite summertime dessert? Do tell! CLEAN SKINCARE THAT WORKS. Experience the power of pure Liquid Silk and ultra-concentrated active ingredients. 20% off your first order with code TRYSILK20. DIY: Faux Shiplap + a Video!